Spray 4-cup mold or bowl with cooking spray. Sprinkle gelatin on wine in 1-quart saucepan to soften. Heat over medium heat about 2 minutes, stirring constantly, until gelatin is dissolved. Place 2 cups of the cucumbers and the remaining ingredients in blender or food processor. Cover and blend on high speed until smooth. Add gelatin mixture. Cover and blend 5 seconds. Pour into mold. Stir in remaining cucumber. Cover and refrigerate about 4 hours or until firm; unmold. 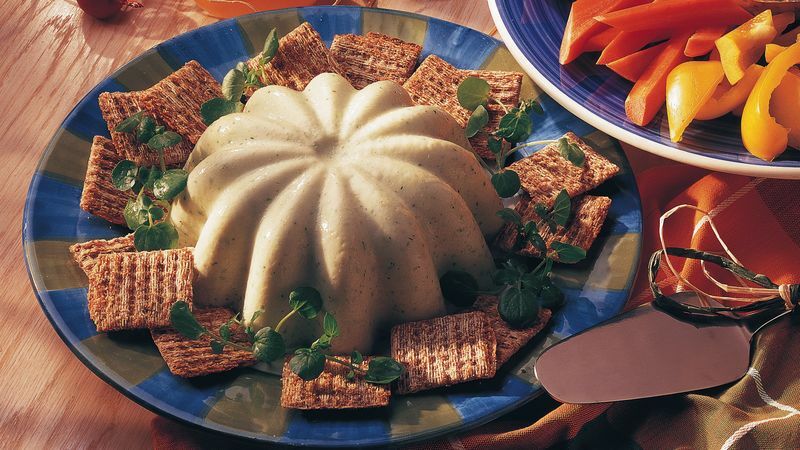 Serve this simply marvelous mousse on your favorite crackers or cocktail pumpernickel bread. Fresh dill weed and watercress sprigs are easy, yet elegant, garnish options.